Last date for deposit of fee in any branch of State bank of India using website generated challan: April 22, 2019 (Monday) upto 3:59 p.m.
All those candidates who have passed/appeared (up to the Academic Session 2017-2019) in the 10+2 Examination of the Central Board of Secondary Education, New Delhi or its equivalent Examination conducted by a recognized Board/University/Council shall be eligible to appear in the PU – CET (U.G.) Entrance Test – 2019. 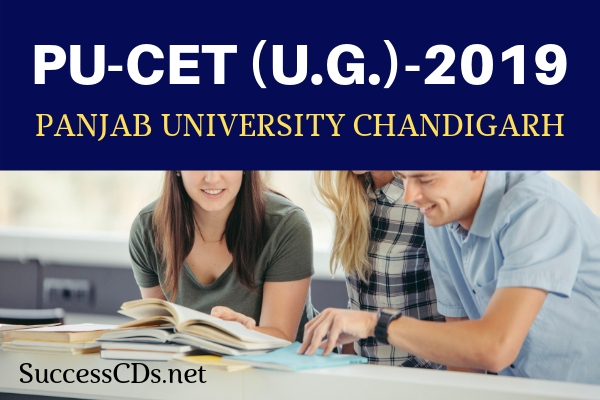 The admission of candidates for the PU – CET (U.G.) Entrance Test shall be provisional. It shall stand cancelled, if they fail to satisfy the requisite eligibility conditions as required by the concerned institution(s)/University by the date fixed for the purpose.